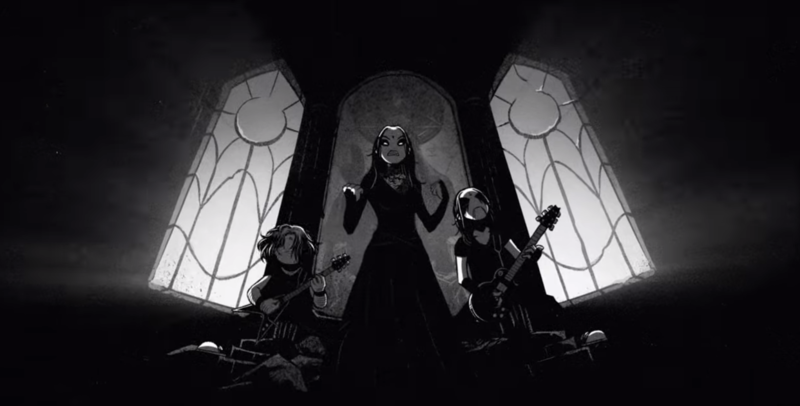 Belzebubs Premiere New Song "Cathedrals of Mourning" From Upcoming New Album "Pantheon of the Nightside Gods"
Black metal cartoon band Belzebubs premiere a new song entitled "Cathedrals of Mourning", taken from their upcoming new album "Pantheon of the Nightside Gods", which will be out in stores April 26th via Century Media Records. Check out now "Cathedrals of Mourning" below. Ærekær Premiere New Song "Bøj dig for din ælde"
3 Comments on "Belzebubs Premiere 'Cathedrals of Mourning'"
Word! Antifa is the biggest enemy to metal since the PMRC. The hypocrisy is real.